Recent renovations include new carpet, new blinds, paint, and new furniture. Sunpath is a 5 minute walk to the base of both mountains and Whistler Village. It is also less than 5 minute walk to grocery stores, pubs, clubs and all activities that Whistler is famous for. No vehicle required at our unit. You are very close to the action, but able to enjoy peace and quiet in our corner unit at Sunpath. Our cozy 1 bedroom suite has a ground floor entrance, and is set against the forest... away from the street. 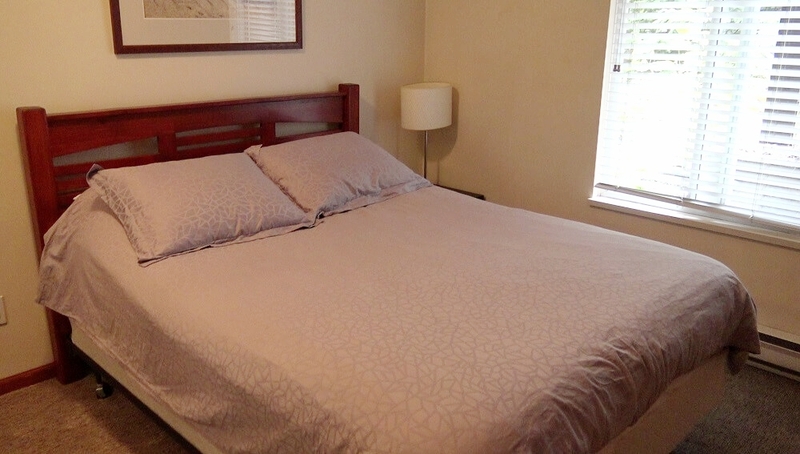 Sleeps 4: 1 Double Bed & Sofa Bed with 1 bath.